Once again, this is a bit overdue. I finished reading the first of Roz’s NYN series last month, but my crazy life has run away with me again. I’ve had to pick and choose what I’m posting about. Next weekend, on May 3, 2014, the Google Plus community @M2the5th will be holding its second online writing workshop with Roz. We’ll be starting out on Twitter with a Tweet chat and then moving to a Google Plus video call. I posted previously on starting out with Tweet chats, for those who need a primer. I’m not an expert with Google Plus video calls yet, but if you have a laptop with a camera and mic built in, or a desktop with an inexpensive camera and mic (I have a combo unit from Microsoft that works wonderfully) and a GooglePlus account, you can join in the fun. All you have to do in Google Plus to prepare is download the hangout application, which doesn’t take long (depending on your connection speed). I like Google Plus for this kind of thing, because it’s user friendly and fairly intuitive. You don’t have to jump through a bunch of technical hoops to get started. So if you want to take part, forward your name to either Lori Sailiata, or Amy Pabalan in the Twitter chat. One of them will be wrangling the hangout crowd and sending out invitations to join. Once you’ve received your invitation, simply accept, and your video feed should show up in the filmstrip section at the bottom of the hangout window. Are you writing a novel? Do you want to make sure you finish? Will you get lost and fizzle out? Will you spend more time reading about how to write than actually getting the words down? Most books on novel-writing will make you read hundreds of pages about character arcs, inciting incidents, heroes’ journeys. It’s great to know that – but while you’re reading about it you’re not writing your book. And what these books don’t tell you is how to use this learning and get the job done. Nail Your Novel is a writing buddy – and mentor – in a book. *how to organise your time. *how to reread what you’ve written and polish it. Along the way, Thumbnail Notes give tutorials about storytelling and storycraft – strictly when you need them. The author has written nearly a dozen novels that have made it into print – and this is how she did it. You don’t even need to read the whole book before you get started. You read a section, then do as it says. And, once you’re finally satisfied, Nail Your Novel will tell you how to sell it to publishers and agents. You’ve dreamed of writing a novel. Don’t procrastinate with another theory book. Don’t launch in, get stuck and throw your hard work in a drawer. 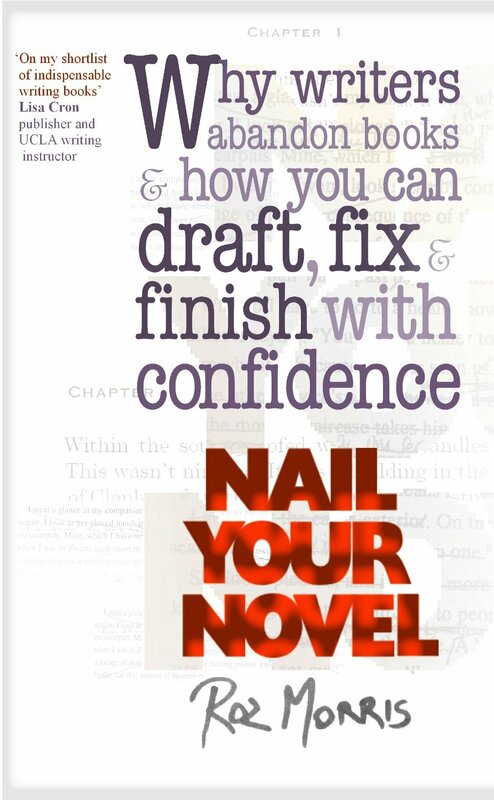 Nail your novel. I’ve been reading writing craft books for years. In fact, one could say that I’m a writing craft book junkie. Yes, the support group will be starting shortly. My approach in reading these books is to adopt those parts of the writer’s process that make sense to me and my ever-evolving process. I cherry pick, experiment, and incorporate as appropriate. I would characterize Roz’s approach as organic, that is, her plotting activities arise naturally from the journaling, research, and gestation that most writers will normally engage in as a preparation to actual writing. Her version of plotting will appeal to the avid pantser and her “gamification,” albeit non-technological, of structuring and plot-fixing activities will motivate even the most spreadsheet-phobic of writers. Having said that, plotting-oriented, or technophile writers will also find lots of tips and tricks to adapt for their use. The techniques in Nail Your Novel can be used not only from the inception of your novel, but the writer can also engage in the process at later stages of novel writing. Having entered into Roz’s methodology with already drafted novels, I’m working through her beat sheet activity, adapting it to my own use as I prepare for future revision. Roz even has activities to prepare the writer for querying or self-publication, whichever path the author chooses to pursue. I’ve also felt validated in several instances as bits and pieces of my existing process appear in slightly different forms throughout Nail Your Novel. For all the excellent content, Nail Your Novel is also a relatively quick read, well-organized, and easy to understand. Roz gets right to the heart of the matter and encourages reading writers to get their hands dirty, metaphorically speaking. Her writing style embodies what she asks writers to strive for: clear, informative, and entertaining. Roz doesn’t waste a word. Roz’s book receives my highest recommendation. It’s on my virtual writer’s shelf beside Ursula K. LeGuin’s, Jane Yolen’s, Donald Maass’s, and K.M. Weiland’s craft writing books and I’m sure I’ll be referring to it often. 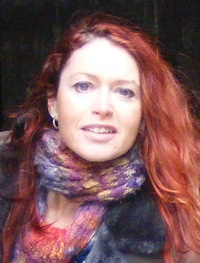 Roz Morris has nearly two decades of experience writing novels and helping floundering authors find their way. She is a senior book doctor for a major literary consultancy in London, writes fiction under her own name and has ghostwritten bestselling fiction for high-profile writers with major publishers, including Random House, Puffin, and Mammoth.